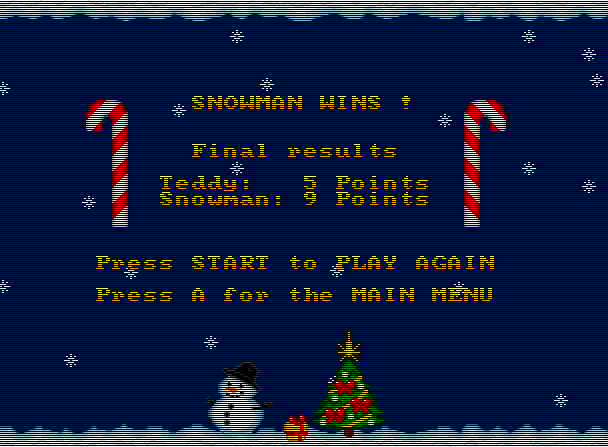 I have tested out the NeoDevKit of Jeff Kurtz recently and have programmed a little game for the Neo Geo CD system. 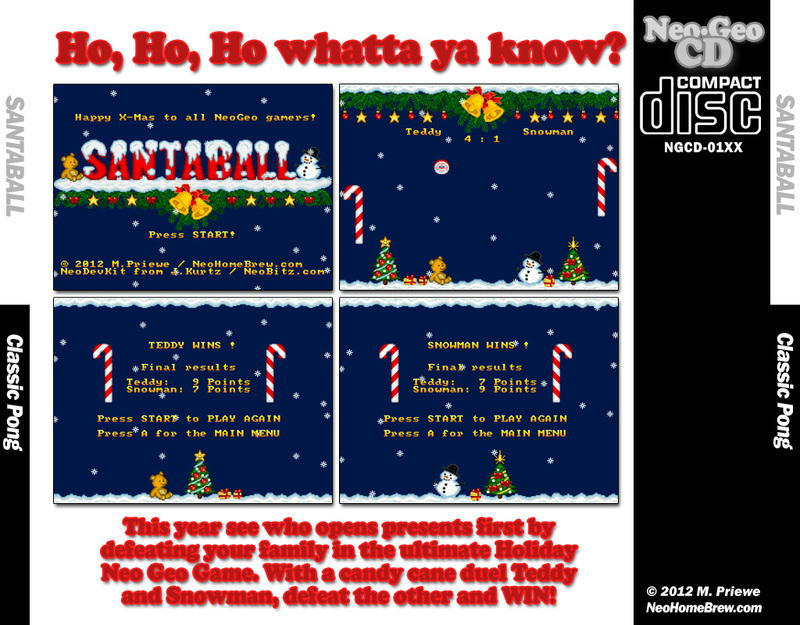 playing Santaball on your TV and post it in this tread. 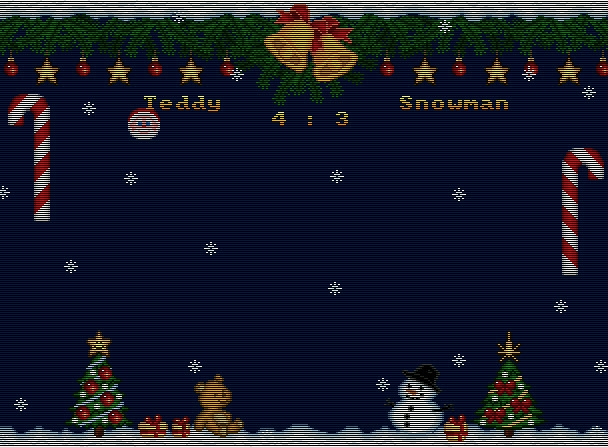 It is a 2-Player game only and the players have to earn nine points to win the game. 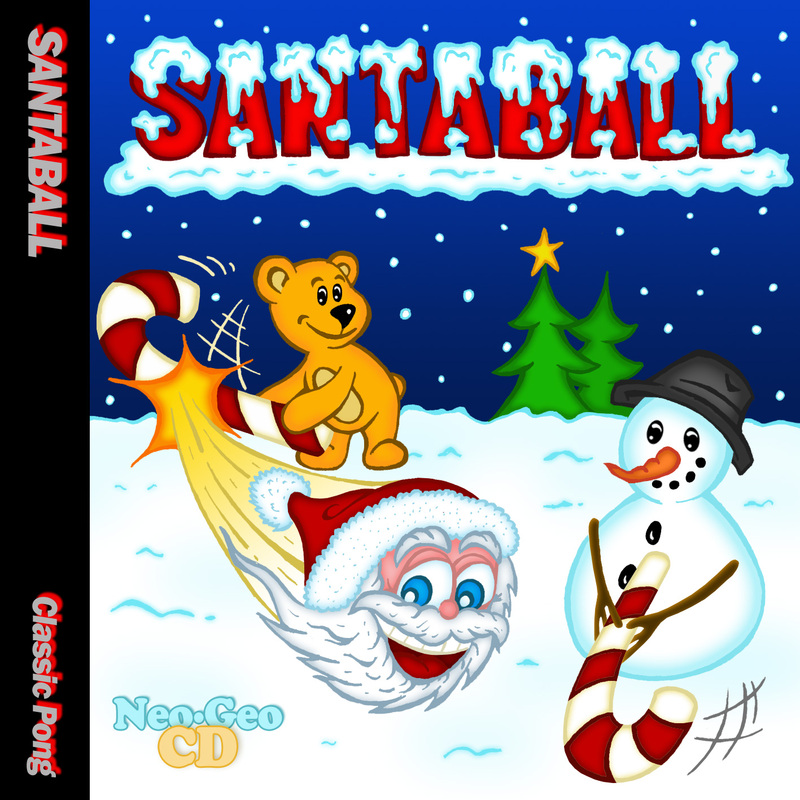 Download it, burn it on a usual CDR, feed your Neo Geo CD and have some Xmas fun! Last edited by NeoHomeBrew; 12-19-2012 at 04:57 PM. Is the NeoDevKit the only way to develop new games for the Neo Geo? Awesome Jojo... downloaded and burning later today. Thanks for sharing. Looks better than most of the other first attempts that i have seen over the years. I haven't burned ISO's in years. What tool can I use? 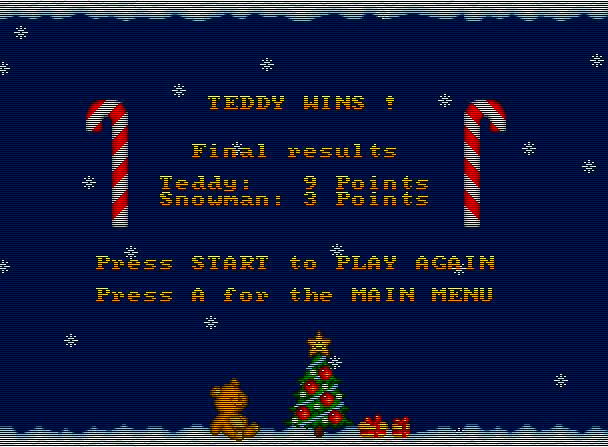 Thanks for the game! Just about any burning software should do. I will use nero burning rom. Load the image and burn the disc. It's not the only way but Jeff Kurtz made some fantastic tools to help speed up the process. This will go awesome with my rum and egg nog. Thanks for the holiday cheer! Looking for UK copies of Dive Alert Becky's Version, Puzzle Link 1 and 2, Gals Fighters, and Pocket Reversi. anyone interested in a DVD cover case for this game? It motivates me a lot to move forward and make a second game. 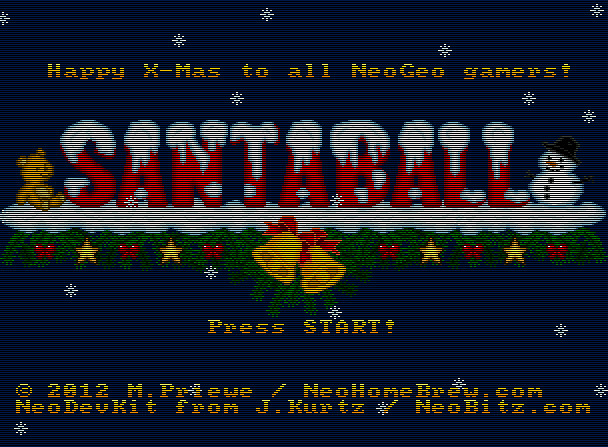 Because with Santaball I have the "ball move engine" already programmed, I think it will be a Breakout/Arkanoid-style game. Very cool, Jojo. Your engine is also the starting block for games like Bang Bead/Flipshot and fan favorite Windjammers. Don't be afraid to get a little crazy with it. You could have a run away hit on your hands. A CD style case would be better though to fit in with the rest of the Neo CD games. Very cool, thank you for sharing this with us and we can't wait for your next work! Thanks jojo! The game looks fun. Last edited by NeoHomeBrew; 12-05-2012 at 10:36 PM. this looks fun! gonna burn it and give it a whirl, and if you do decide to make a arkanoid type game...... that would be BOSS my friend! keep it up!